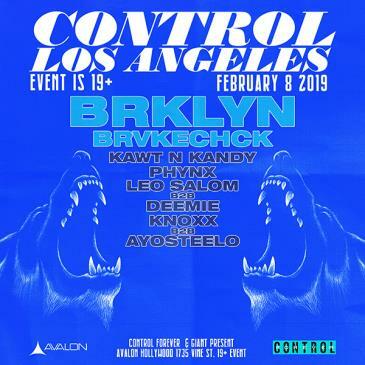 CONTROL Friday returns on February 8th for a night filled with some high energy house and bass. 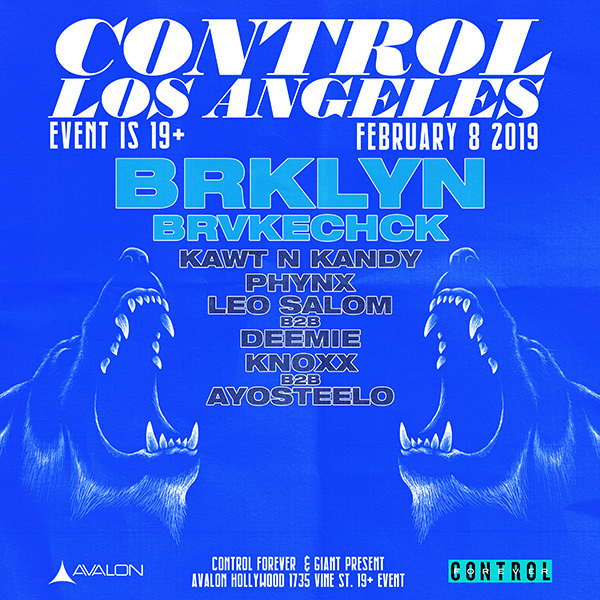 AVALON Hollywood is pleased to welcome duo BRKLYN and BRVKECHCK with support from Kawt N Kandy, Phynx, Leo Salom b2b Deemie, and Knox b2b AyoSteelo. BRKLYN is made up of Los Angeles based Cameron Alexander and Cody Nadeau, who frequently combine live instrumentation with synth grooves to create their distinct sound. Some may say their sound can be best described as emotional and eclectic, which one can immediately recognize upon listening to their music. BRVKECHECK consists of Nick Manzi and Joe Stefanki, whose sound is more along the tech and deep house spectrum. Their top hit “Lose Control” definitely reflects that -- it’s a smooth track with a deep and groovy bassline. Support will come from bass duo Kawt N Kandy, deep house artists Phynx and Leo Salom b2b Deemie, and tropical house artists Knoxx and Ayosteelo. Check out some of their mixes and original tracks through the links below! Don’t miss this night full of fun and energetic house on Friday, February 8th. Grab your tickets and get ready to groove with BRKLYN, BRVKECHCK, Kawt N Kandy, Phynx, Leo Salom b2b Deemie and Knoxx b2b Ayosteelo! See you there!